We know that people make mistakes and we want to help. We can usually get you or your loved one out of jail within hours. We at Godfather’s Bail Bonds are experts on the confusing and complicated court and bail systems and will work diligently on your behalf to get you out of jail and back home to your family as quickly and as discreetly as we can. Unfortunately, most people can’t afford to bail themselves out of jail and that’s where we come in. Our professional bond agents will work on your behalf to make arrangements with the court guaranteeing that you will show up for your court appearances. 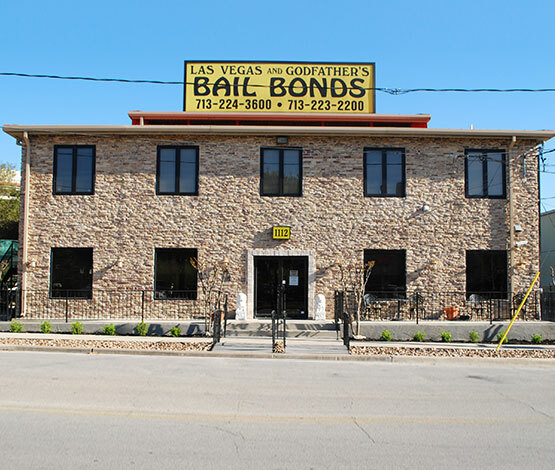 With our 10% non-refundable premium and some collateral, we can issue a bond and have you released from jail but we do offer several ways to pay, including credit cards and installment plans, and in some cases, we may not require collateral at all. We’ll work with you to figure out what best fits your budget.